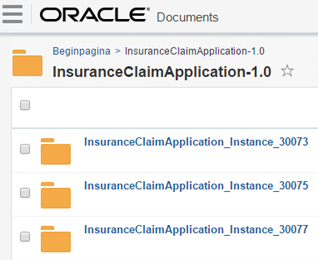 This blog focuses on new feature released with ‘Oracle Cloud Adapter for Salesforce.com’ on ICS starting from 16.1.5. On- Prem SOA Suite will have same feature coming up down the line. 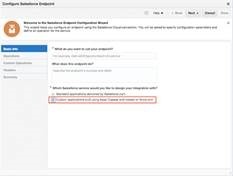 In this blog will walk you through the features of new options; Custom WSDL Support and also how to leverage CUSTOM WSDL (Apex WSDL) of force.com to do the integration between force.com and external system with Salesforce adapter on ICS. How to Generate & Download Custom WSDL? Though Salesforce, by default, provide rich connectivity through standard SOAP and REST API, but there still be a need to extend / enrich the built in functionality in order to support business specific requirement. There could completely new business requirement that by default does not exist. Again all these things can be achieved through Apex coding / custom coding on force.com. Read the complete article here. This session provides a basic product introduction to Oracle MFT from the product management team, along with real-world implementation experience and advice from an experienced SOA partner doing a cloud MFT implementation. 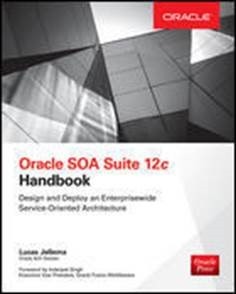 Nearly all SOA Suite customers have needs for moving files around using managed file transfer approaches and now that Oracle has a SOA Suite component offering this functionality, we want to answer the typical questions SOA customers have around MFT, such as: what does it do and how does it work? 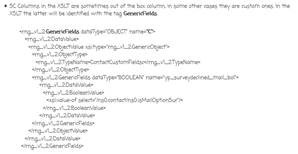 When should I use MFT vs the SOA Suite file capabilities? What are other SOA customers doing with Oracle MFT today? Etc. Once you start working with BPM/SOA suite, there may be times, especially when you are debugging, when you need to see what SQL queries the BPM / SOA Suite engine is submitting to the SOA Infra database. This video shows you how to trace SOA Suite SQL. Watch the video here. Transform your fragmented company into a connected cloud business. Provide sales real-time customer data, synchronize cloud with on-premises applications for marketing, and connect your customer support applications with your sales applications. Watch the video here.